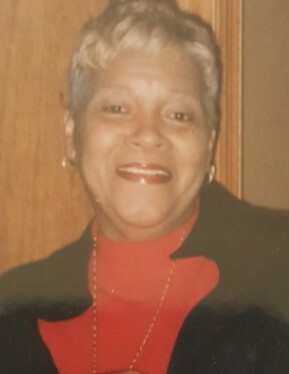 Obituary for Mrs. Joann (Woods) Cobb | Lester Lackey & Sons Funeral Home Inc.
Funeral Service for Mrs. Joann Woods Cobb of 78 Sockwell Road Oxford, GA 30054 will be held Saturday, April 6, 2019, at 2:00 P.M. at The Church At Covington, 11975 Highway 142 Oxford, GA. Rev. Darryl Hooper, Pastor, Reverend James Collins, Eulogist, assisted by others. Interment, Lawnwood Memorial Park. Surviving her untimely departure with cherished memories, husband, Mr. Charlie Edward Cobb; daughters, Mr. & Mrs. Loretta (Terry) Benton, Mr. & Mrs. Sherlean (James) Russell; sons, Mr. & Mrs. Charlie (Rushanda) Cobb and Mr. Jason Cobb (Tasha Clark); six grandchildren, eleven great grandchildren; Mother, Mrs. Ruby Mae Woods; sisters, Mr. & Mrs. Carrie Davis; Mr. & Mrs. Annie (Melvin) Price, Ms. Rose Mary Hyman, Mr. & Mrs. Patricia (Sammy ) Griffin, Mr. & Mrs. Diane (Lee) Cooper, Ms. Alice Marks (Moses Cobb) and her brother Mr. & Mrs. Eddie (Sharon) Woods; brother, Mr. & Mrs. Eddie (Sharon) Woods and a host of other relatives and friends. The remains will lie in-state at the church from 11:30 A.M. until the hour of service. Family and friends will assemble at the above address at 1:00 P.M. A Visitation will be held Friday, April 5, 2019, 1:00 P.M. until 6:00 P.M. in Parlor B. "A Service of Dignity, A Trademark of Excellence"